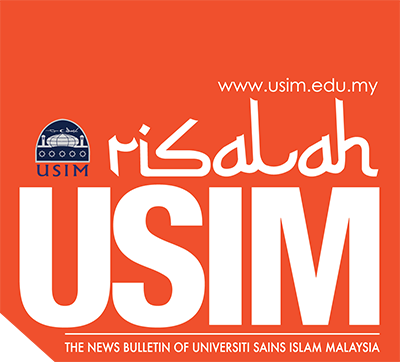 Admitting that he was not a smart student during his previous studies, Dr. Hazmi Mohd Rusli, Senior Lecturer of Faculty Syariah and Law, Universiti Sains Islam Malaysia (USIM) has now proven that nothing is impossible as long as one has the drive to do something. He was once the first South East Asian academician to be invited as a Visiting Professor at the Faculty of Law at the Far Eastern Federal University (FEFU), Vladivostok and was recognized for four consecutive times which was also a recognition to the Malaysian Higher Education system. Follow the talk further. Q1 Tell us briefly about yourself and your educational background. I am a native of Kuala Lumpur from Taman Melawati. I received my primary school education at Methodist Boys School, Kuala Lumpur and Taman Melawati Secondary School for my secondary school education. I am a graduand in Bachelor of Law in International Islamic University Malaysia (IIUM) in 2006 and a Master graduand in Comparative Law in IIUM in 2007. I was appointed as an Advocate and Solicitor in the High Court of Malaya in 2007 and as Federal Territory Syarie Lawyer in 2008. Since varsity years, I was aware that my tendency is not in practicing law but more into academic. Luck was on my side when I was accepted as a tutor at FSU in USIM in 2008. In March 2009, I continued my studies at PhD level in International Maritime Law at the Australian National Center for Ocean Resources and Security (ANCORS), University of Wollongong, Australia . In February 2012, I completed my studies at ANCORS and was appointed as a senior lecturer at FSU in June 2012. Just to share, when I was in school, History was the subject I had the most interest in, especially the History of the Archipelago. But after that, I did not have the opportunity to pursue my studies in this field until I was given the opportunity by USIM to pursue my PhD studies in any field I am interested in. Hence forth, I chose to explore the international marine law where its main component is History subject. As of April 2018, I have served as a lecturer in USIM for nearly six years. Q2 In your view, why is it important for us to know maritime law? This field has long been learned by the Malay community as we ourselves were historically great sailors. Otherwise, how could the Malay Archipelago community successfully have sailed to Madagascar during the sovereignty of the Srivijaya kingdom in the 9th century. The Malacca Sultanate also had drafted the Melaka Sea Law by Sultan Mansur Shah in the 15th century AD. However, the ingenuity of the Malay community in this field has vanished little by little because of occupation and is now dominated almost entirely by Western scholars. I think this field is important because it concerns our knowledge in safeguarding the sovereignty of our Malaysian waters. If we are not knowledgeable in this area, it is likely that our marine produce may be manipulated by the more knowledgeable big nations. Maybe that’s why we lost Batu Puteh 10 years ago. This field can also be said to be still unpopular in Malaysia. But, the most important thing is the sovereignty of our country. We have lost Batu Puteh in 2008. Are we willing to repeat this mistake again? This field can also inspire the love for the country and the high spirit of patriotism if it is appreciated. Q3 How did the journey of presenting lectures and working papers to various countries start? Frankly I was not a ‘star student’ during my bachelor’s degree. My English was not very good and I was not active like other smart students who were actively involved in debates and moot competitions either within our country or abroad. But the study at IIUM gave me room to improve my English gradually. I also have never been away from family and never lived alone. Since 2009, everything changed as I have opted out of my comfort zone and travelled to Australia. There I made friends with individuals from various countries and this changed the pattern of my life little by little, from a person who was not confident to becoming confident. I have also changed my mentality that knowledge is really more important from able to converse in English like ‘native speaker’. Alhamdulillah. As a Malay Malaysian, I am very grateful for this opportunity to bring the names of USIM and our country to the eyes of the world. This opportunity began when I attended ‘summer school’ in Shanghai and Xiamen (2013 and 2014 respectively) in China with a scholarship from the Chinese Government. There I met a Russian lecturer Dr Roman Dremliuga who was interested in my writings and offered me to teach as professor or visiting lecturer at FEFU, Vladivostok, Russia. After my CV was reviewed by the faculty in FEFU, I was accepted to teach there for 10 days from 2014, until now. I am also required to deliver a public lecture three times in the area of international maritime law especially in international and common law. Q5 Challenges and hope for the future. My challenge is to awaken the community about the importance of this field. Unlike criminal law, contract or trade laws, I see that most people do not understand what the law of the sea is and think it applies only to ships sailing in the sea. But actually, it is more than that. It concerns the sovereignty, environmental benefits, world economy and international relations. Therefore, I hope that more young people will be involved in the field of international law, especially maritime law, to strengthen our knowledge in this field. Singapore, our neighboring country has left us far behind in this field. If we want to remain competitive, it is important for the government and the people to work together to strengthen our human resource development. Let us create a more eminent Malaysia for the benefit of Islam, the prosperity of the nation and the well-being of the people.